Photography news and announcements for new digital cameras, film cameras, SLR lenses, and photography software. New members from Italy - wildlife photographers, book authors and photojournalists. Winners of the World Grand Prize for the Best Book about the Sea at the Antibes International Festival of Underwater Images in 2004, authors of the best selling guidebooks A Diver's Guide to Reef Life, A Diver's Guide to Underwater Malaysia Macrolife and A Diver's Guide to the Art of Underwater Photography. 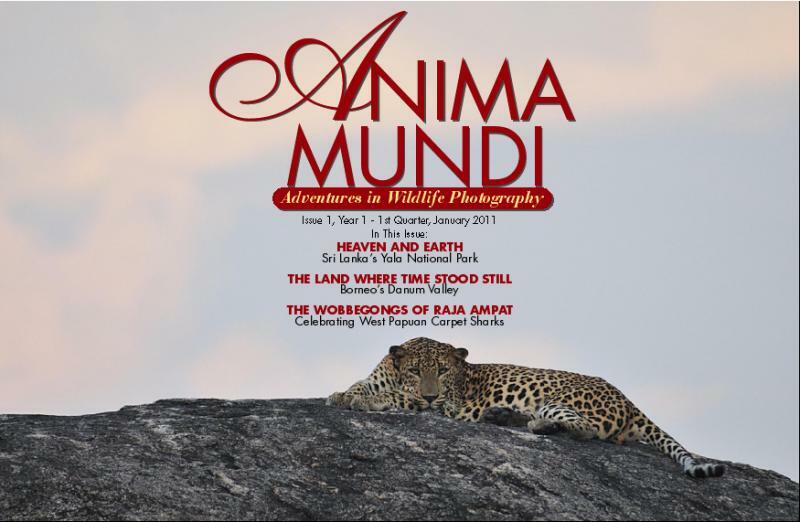 Publishers of ANIMA MUNDI - Adventures in Wildlife Photography, a completely free quarterly 130+ page, widescreen, fully interactive online magazine. ANIMA MUNDI - Adventures in Wildlife Photography is available to all readers worldwide as a 150-page, full-color, full-screen, hi-resolution quarterly pdf. Wildlife travel articles, field technique tips, photographers personal portfolios, interactive videos and species descriptions - it's all there :-).